Can sugar keep your skin looking young? Since no one has yet discovered the key to preventing skin aging, scientists are still testing out every lead to see if they can uncover it. Of course, they've studied skin cells, but there doesn't seem to be any difference in the genes or the proteins of old skin cells versus new ones. Researchers weren't sure where to look next — until they uncovered something that was different. Did you know the surface of your cells is covered with sugars? These sugars are called glycans. For example, you've probably heard of glucose, which is one of our most common glycans. It turns out, glycan levels drop as we age, and the glycans we do retain become less effective. In fact, by age 60, you'll have only about 50% of the glucose you had at 30. According to Dr. Zoe Draelos, a dermatologist and consulting professor at Duke University School of Medicine, "Glycan change and loss that occur with aging lead skin cells to not recognize or communicate with each other with the same vigor they did in their youth. 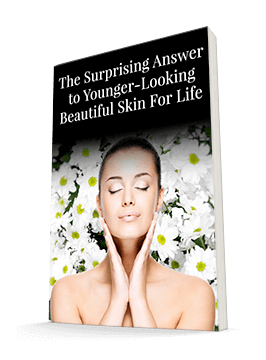 This may be why aging skin doesn't heal as well or make collagen as readily as it once did." While research is just getting started on how we can put glycans to work for us, dermatologists like Dr. Draelos are excited about its possibilities. 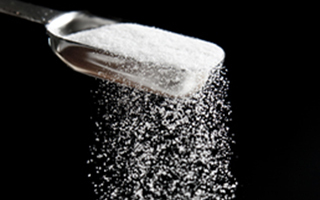 Since glycans are simply a form of sugar, we know they will be safe to apply to the body. But while glycans may have a lot of promise through topical application, if you're trying to keep your skin from aging, there are actually some strategies that you should use internally. And it doesn't include eating more sugar. That probably will have the opposite effect. Consider taking micronutrients, particularly vitamins A, C, and E, as well as trace minerals in the form of seaweeds (my favorite brand is King Chlorella). These nutrients are often added to modern skin creams. And while they may be beneficial there, they may help even more if you ingest them, either through your diet or a supplement. Dr. Draelos says, "Research has shown that metals such as selenium and copper have skin benefits when included in our diet. Effectively adding these metals to a skin care cream can be a challenge because applying micronutrients to the skin may not be as effective as when consumed." So look for supplements that contain these micronutrients, and try to eat a healthy, balanced diet to make sure you get them through your food as well. And keep an eye out for more news about glycans! This is a very promising aspect of the anti-aging arena. In the meantime, continue to protect your skin from aging by wearing sunscreen and using high-quality products to keep your skin youthful and healthy.